Bomber jackets make the best athleisure piece. Wear one with your favorite jeans, sneakers, and a crop top for a simple, flirty look that will work for basically anything. As the weather starts to get cooler, trade the crop top for a sweatshirt and you’re good to go! 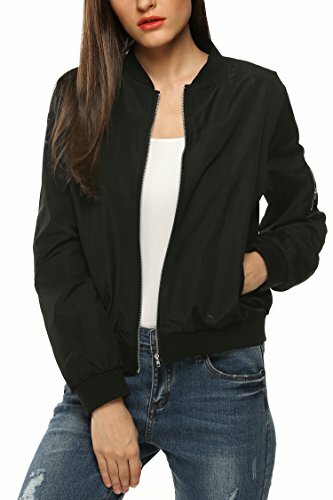 Bomber jackets can dress down even fancier outfits, like a tight black dress and tall heels. But at the same time, they look just as perfect with a baseball cap, sneakers, and jeans. Green and black are classic bomber jacket colors, but you definitely don’t have to stick to those. Pick something bright like pink for more flair. Make a skirt and crop top combo work for fall weather by adding a bomber jacket. A blanket scarf looks just right with a bomber jacket and creates some seriously cozy outerwear situations. Keep it simple with the easiest fall outfit that always looks put together: a tee, black jeans, ankle boots, and a bomber jacket. Add patches and/or pins to your bomber jacket to make it more unique. Add an extra layer by tying a plaid shirt around your waist. Wear your black bomber jacket with all black for a chic and easy look. Bomber jackets and midi dresses are a match made in heaven. Add sneakers to keep the outfit casual. Opt for a metallic bomber jacket for something different and fun. Another way to make yours different is to buy a bomber jacket with a print, like this cool star piece. 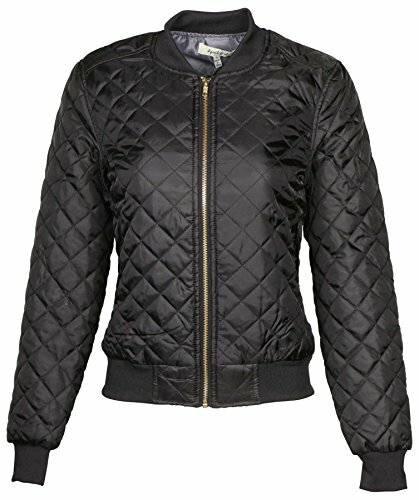 Throw in a little feminine flair with a bomber jacket that has a pretty pattern on the inside lining. It’s less obvious but still so pretty. Or go all out with a floral bomber jacket that looks awesome with jeans. Throw your bomber jacket on other a graphic tee for an easy outfit, and add strappy heels to make it a little bit more glam. A bomber jacket makes a white tee and jeans combo look a little bit more stylish while still feeling comfy. Use a bomber jacket to make your favorite summer pieces work for fall, like shorts or a dress. Put a fun saying on the back of your bomber jacket to make a statement, or buy one that already has a quote there.